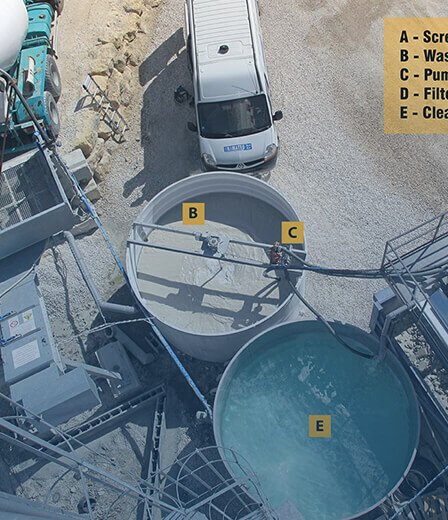 The clarification process is essential to a wastewater treatment plant. 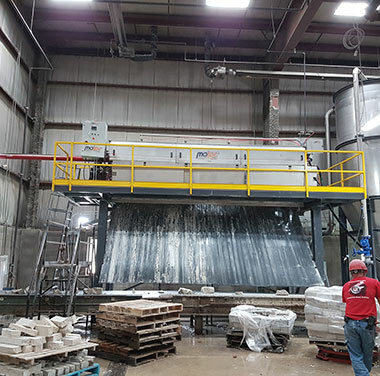 Unlike the filtration carried out by the filter press, the clarification is a continuous process that separates water from the solid particles suspended into it. Matec can provide customers with any type of decanters, by designing and manufacturing vertical and horizontal ones made of stainless steel or concrete. Matec uses stainless steel to guarantee its clarifiers a long-lasting working life. A pressure sensor can be placed on a membrane at the bottom of the cone of the silo. The discharging valve opens only when the required density is reached. The vertical decanters are based on the principle of static decantation and the natural precipitation of suspended solid particles. During decantation occurring inside Matec decanters, the solid particles (the mud) sink down to the bottom of the structure, while the clean water overflows into the drainage system at the top and it is discharged in a dedicated tank or pit (clean water tank). 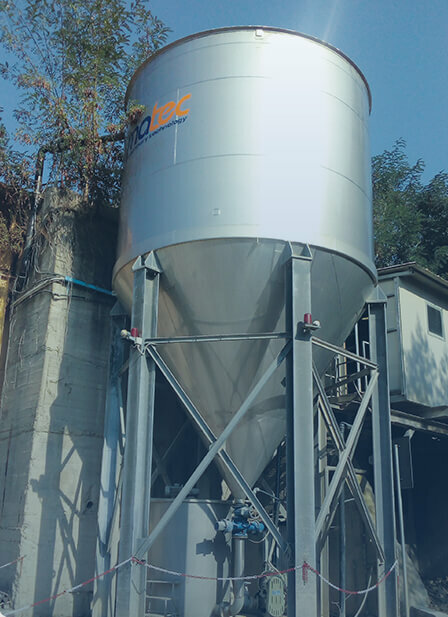 The shape of the Matec vertical decanter, the right proportion between the cone and the upper cylinder, has been developed thanks to our experience in the filtration of waste water. The cone’s inclination degree perfects the thickening of the mud and the upper cylinder can be used also an extra stocking space. The horizontal decanters are ideal for the largest water flows. 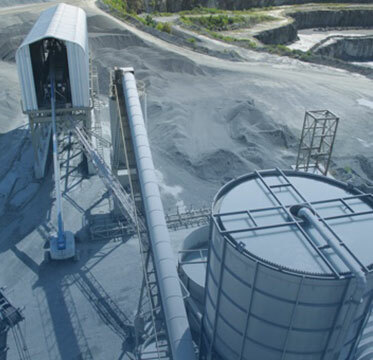 They have a limited height and are provided with an upper sludge thickening system. Horizontal decanters are made of stainless steel in their middle and large versions, while the largest ones are made of concrete. The decantation principle is more or less the same occurring in vertical decanters. The rake mechanism stirs the sludge through its rotation movement pushing it to the bottom. The discharging is automatic and adjusted to the rake effort, in order to reach the desired thickness. Sensors will give the opening input to the thickener discharging valve and the sludge will go through, to the Bifang. 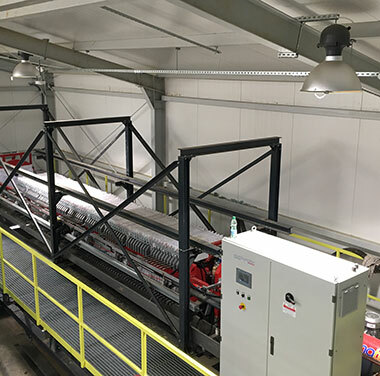 24 meter width for the top of the range horizontal rake thickener by Matec. 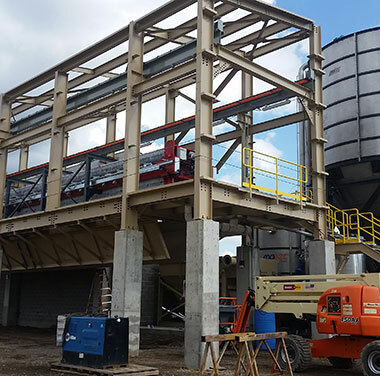 We usually suggest this typology of clarifier when the needed vertical decanters would exceed a 9 meter height.